Q: Do you have “Licensed Bartenders”? IN CALIFORNIA, THERE IS NO SUCH THING AS A “LICENSED BARTENDER”. PERIOD. THERE ARE ONLY LICENSED COMPANIES. 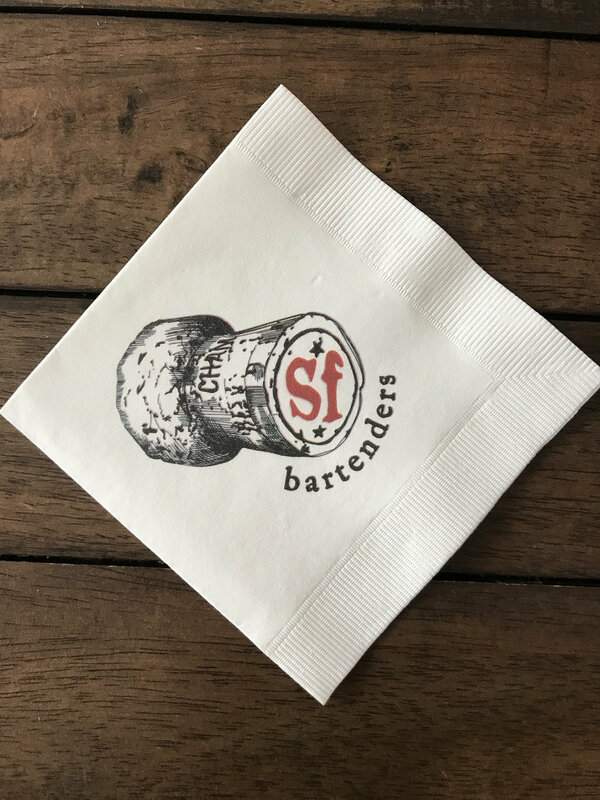 SF Bartenders is a licensed beverage catering company and we staff hundreds of certified bartenders who operate under our Department of Alcohol Beverage Control (ABC) license. SF Bartenders carries ALL necessary liquor licenses, permits and insurance (yes, that includes Worker’s Comp) to meet all state and federal requirements. DON’T GET CAUGHT IN A LAST MINUTE BIND BECAUSE YOUR “LICENSED BARTENDER” CANNOT PRODUCE THE REQUIRED PERMITS. Q: So….. Exactly what is “beverage catering”? A: We thought you’d never ask. Think of us as your mobile bar. Beverage catering is, in a nutshell, a type of catering that allows the provision and dispensing of your drinks of choice. The big hang up here are those pesky Alcohol Beverage Control (ABC) laws. In most cases, to legally provide and dispense alcohol, a liquor license is required. To that point, there is no such thing as a singular “licensed bartender.” Only companies with a brick-and-mortar are eligible to be “licensed” in the state of California. Hey, we don’t make the rules, but we do follow them. SF Bartenders carries all appropriate liquor licenses, permits, and insurance (including worker’s comp.) to meet all ABC requirements. We only employ the best, most professional bartenders who are equal parts affable and experienced to help out at any event. In other words, we’re the real deal. Q: Why Select SF Bartenders? A: Four words: convenience, appearance, experience, hospitality. Convenience: A beverage caterer takes all the stress away from serving at your event, leaving you to simply bask in praise for how awesome the party you’re throwing is. Appearance: Aiming to impress? We’re here for you. With SF Bartenders, every party turns into something you can eventize. Our service offers the appearance of professionalism as well as fun. Experience: SF Bartenders has serviced hundreds of events throughout the bay area from 12 person private gatherings to 5000+ attended conferences. Working with us alleviates the concern and headache that comes along with planning the details of your mobile bar. Hospitality: From your first encounter with one of our event coordinators, to the banter your guests will have with our bartenders at your event, we’ll make you feel like part of the family. In other words, we wouldn’t hire anyone that we wouldn’t invite to our own party. Q: Do food caterers have liquor licenses? Q: Is a liquor license required for my party? A: That’s a tricky one. If you’re hosting a private party in your home and providing your own booze, feel free to let your uncle Larry pour. However, if you intend to have a third party (caterer, staffing agency, etc.) provide and dispense the alcohol, the ABC requires whoever is pouring to be licensed, by law. (Heads up — there is no such thing as a “licensed bartender,” only licensed companies, and SF Bartenders is a licensed company). The ABC also requires most spaces throughout California (i.e. office buildings, event spaces, retail stores, public festivals, etc.) to have a licensed beverage caterer serve your event. If you’re a non-profit organization with a proper 501(c)(3), there are instances where you may be required to fill out an additional permit for your event. Our team is more than happy to assist you with this, as well as any other ABC concerns you may have. We’re here to help! Q: What kind of event can I hire a beverage caterer for? A: Pretty much anything under the sun. From a corporate happy hour, to your wedding, to your nephew’s Bar Mitzvah, hire SF Bartenders. Just give us the details, and we’ll make it happen. Q: Are beer & wine bars less expensive than full bars? A: This is somewhat of a falsity. When you deal with beer & wine, you get fewer servings per bottle than with distilled spirits, leading to fewer drinks. The difference is negligible often, but can actually cost more for beer & wine only events, especially in the advent of these delicious, but expensive, craft beers.